We awaken and nurture the deepest yearnings of the human spirit through events, classes, and conversations in a supportive community. Enneagram is a Greek word – ennea (meaning “nine”) and gram (meaning something written or drawn) – and refers to the nine points, nine basic personality types described. 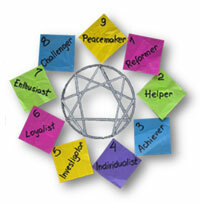 The Enneagram* is a tool of spiritual transformation combining ancient wisdom with modern psychology and spirituality. Firmly based on the belief that we have gifts that are necessary parts of the whole, Enneagram is simply a tool that can assist us in returning to the person we are at the core. From here, we contribute to the whole. Enneagram has identified nine “core personality types” and provides ways to help us discover which type we are (or ways we can be in relationships). Recognize the personality types of people in your life as well as your own personality. Discover more effective ways of working with and relating to others. Grow to recognize Grace in others and celebrate each one’s unique contribution to the whole. 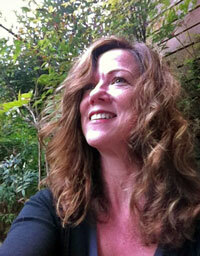 is an author, spiritual director and writing mentor. She has been a professor of psychology, religion, and philosophy since 1993. Her published titles include Faith Born of Seduction, Polishing the Mirror, Cracking Up, and Loving Life As It Is: One Breath At A Time. A Certified Publishing Coach (CPC), Voice Dialogue and Enneagram Facilitator, she helps people bring out their authentic voice through writing and publishing. For more information: Call (360) 598-4434. What follows is the timeless work we have come to know as simply The Gita. This simple introduction to the Bhagavad Gita will ease you into this ancient text. The course will be based on dialogue and experiential learning that will make the content come alive. It is very helpful to read a copy of the Gita beforehand and bring it along to class. holds a master’s degree in comparative religion and has been a meditation, qigong and yoga instructor for twenty years. Her non-fiction books include: Easing into the Bhagavad Gita and Patanjali’s Yoga Sutras; A Little Book of Wholeness and Prayer: An Eight Week Meditation Companion, and At Matthew’s Knee: A Poetic Commentary on the Gospel of Matthew. She is currently working on a book of poetic meditations around the many names of God, as well as a work that explores the Vedantic tones present in the Gospel of Thomas. This 12-week committed-group inquiry process combines the practices of transformational prayer, body-based mindfulness practice, and integrative imagery. We will explore with curiosity, openness, and love our big assumptions that keep us stuck in repetitive patterns. As we embrace those assumptions, we can expand into new beliefs that serve our mental, physical, and spiritual well-being in the here and now. If a desire for change is calling you and you have an interest in deepening and expanding your exploration of self and spirit, consider immersing yourself in inquiry and committing to this group process. Transformational Prayer I is not a pre-requisite, though it is encouraged. Tom is currently the pastor of a nascent Integral Church in western Washington. His recent book — Reverent Irreverence: Integral Church for the 21st Century…From Cradle to Christ Consciousness (Integral Publishers) — explores how churches can use their unique role in western culture to support the evolution of human consciousness. Long a student of consciousness and spirituality, Tom’s exploration was inspired by eight years of intensive transformational work in a small group setting nearly 40 years ago. Ironically, that experience led him into economics. After completing a Masters in Economics and a Doctorate in Education at Stanford University, Tom taught economics for a decade. Following a personal crisis, he left college teaching and worked for 12 years as an artist/craftsman. A series of extraordinary events led him to seminary in 1998. He is now an ordained minister and spiritual teacher in the emerging field of Integral Christianity. Over the years he studied and worked with a Native American shaman, explored Zen and Yoga, and developed his own Westernized spiritual practices. For the past nine years he has led groups exploring the interface of religion, spirituality and science. He continues to develop and lead workshops in Transformational Inquiry and Integral philosophy. Jayne has worked for over 20 years with individuals experiencing chronic pain, chronic illness, anxiety, grief, and loss. Jayne integrates holistic therapeutic practices into her daily work as a registered nurse. She is passionate about teaching individuals inner resource skills that make possible a deep connection to one’s inner wisdom and natural state of inner joy. The lovely flowing movements of classical qigong (chee-Kung), similar to Tai Chi, help reduce the chance of falls in elders. Qigong also helps alleviate the symptoms of depression in our very cloudy climate. yoga therapist for more than 12 years. With theological training, a master’s degree in comparative religion and a graduate certificate in holistic healthcare, she has had a centering prayer practice for over 20 years and delights in leading contemplative retreats. In 2002 she published “A Little Book of Wholeness and Prayer.” She is also a poet, essayist, and speculative fiction writer. Qigong is a moving meditation, very easy to learn, and suitable for all ages. Participants may choose to continue with regular sessions following this introductory class.